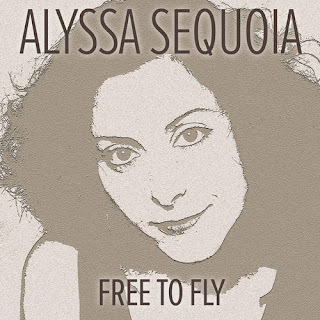 The single "Free To Fly" from Alyssa Sequoia's new album Queen Anne's Lace has it all. The song moves effortlessly between genres of pop, indie singer/songwriter and country. "Free To Fly" is about letting go of the past and old attachments. The song has a soothing quality with lush background vocals, earthy upright bass, strumming guitars and Fender Rhodes. Queen Anne's Lace will be released in June. Originally from Westchester, NY, Alyssa Sequoia's earliest memories are of writing songs. "Music came to me and filled my head. I didn't know how to articulate what I was hearing because it was full orchestras or gospel choirs. I didn't have the language or the musical chops in my childhood to repeat it," Sequoia said. Alyssa has recorded three albums: "Within," "Flow With Me," a five song EP, and "Alyssa Live," recorded at CB's Gallery in NYC.